The goatskins from Peru come in a variety of patterns. 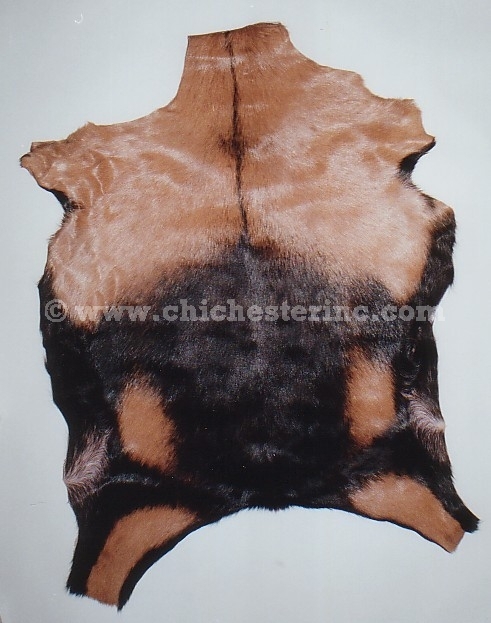 We have decorative, hair-on goatskins from Peru. All sizes are usually in stock, even if we do not have pictures of the individual skins below. Please let us know if you have a preference for one style over another. The Peruvian goatskins have been chrome-tanned. 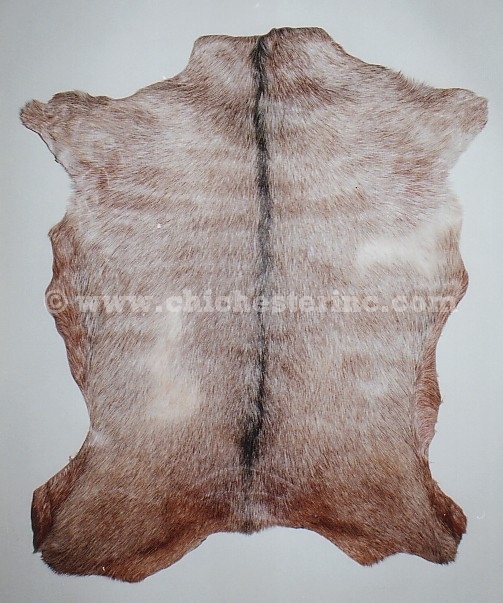 The hide side of the U.S. goatskins is softer than the Peruvian goatskins. The U.S. goatskins are heavier than the Peruvian ones. 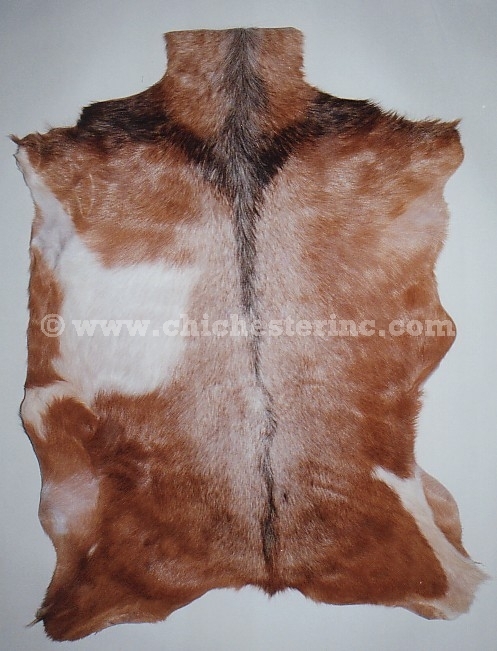 Some of the U.S. goatskins may have small holes near the bottom or at the edges of the back of the skin which would not be evident from the front. Our Gxx codes denote individual skins. 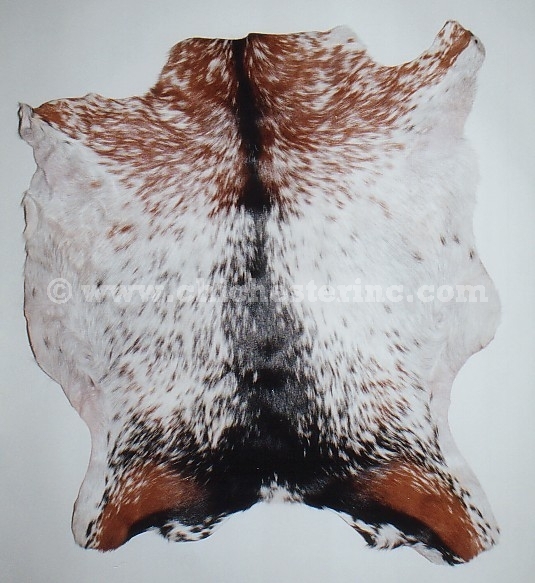 If you would like to order a specific goatskin, please go to our Gallery to pick the exact one shown. Click HERE for sample sizes. Please note that the small skins are very small. These would be ideal as table coverings for end tables or a similar use, but are not big enough for use as rugs. The goatskins weigh about one pound each. To remove any dirt, brush along the nap (in the direction of the hair, not backwards) using a bristle comb or horse brush. To clean spills or extra dirty areas, use a very small amount of shampoo on a damp sponge. Sponge along the nap repeatedly. Rinse the sponge to remove the shampoo and dirt and repeat until the hide is cleaned. Dry using a towel running along the nap. Never put a goatskin in the washing machine or get it thoroughly soaked.